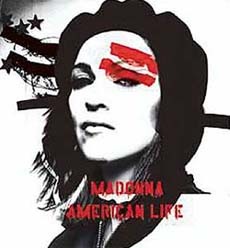 MADONNA, in her 20-year-long career, has been visually original, a provocative stylist and an intelligent lyricist, but she has never been a ground-breaking musician. Surely, she knows that familiarity breeds contempt, after all she’s spent much of her career reinventing herself. Her new music isn’t extreme though. Rather it’s a return to the personal side of Ray Of Light project and a lateral move from 2000’s techno-enhanced Music. The album is an odd mixture, particularly when it’s infused with a dissatisfied undercurrent and a musical sensibility that is at once adventurous and desperate. Mother and Father pointlessly revisits the same old themes. She mimics Sheryl Crow’s hippie-slick textures and sun-dappled harmonies in Intervention. The album also features the Bond theme Die Another Day, another disappointing track, not just for what it delivers but what it promises. Since Placebo’s 1996 self-titled debut, the band has kept up a penchant for delivering stylishly slick pop songs, in particular Pure Morning and Nancy Boy. The UK trio (comprising Brian Molko, Stephan Olsdal and Steve Hewitt) has carved out for itself a unique sound within the overhyped Brit-pop/rock scene, with Molko’s distinctive lyrical and vocal stance being the focus of attention. Their recently released album Sleeping With Ghosts is an unexpected surprise from Placebo. Whereas the band normally plays toned-up glam rock, this album finds them in between aggressive punk attitude and gloomy Goth psyche. The album opens with Bulletproof Cupid, a rousing instrumental. Offbeat punkish drums and screaming guitars push most of the tracks to fascinating extremes, and English Summer Rain is a Gothic/ alternative/ electro rock hybrid with some creative synthesised melodies. The dark title track Sleeping With Ghosts is a semi-industrial song with Molko’s trademark nasal singing, while Plasticine is a strange glam rock tune with haunting reverberant vocals. The assured rocker Bitter End kicks up a real row. The album is an awesome result of a glam rock band turned Goth. Tom Jones. You either love him or hate him. Thomas Jones Woodward’s years of struggle proved worthwhile for It’s Not Usual reached No.1 in Britain and No.10 in the USA in 1965. A series of successes followed during the next 18 months. Greatest Hits is exactly what the name suggests, a collection of Tom Jones’ best hits thrown together for the convenience of the listener. The compilation opens with the infectiously groovy Sexbomb, one of his latter releases with Mousse T to give his image a nudge into the 21st century. From there the track ranges from the swooning classic Green Green Grass of Home to Mama Told Me Not To Come. The final six tracks are his recent collaborations with more contemporary artistes, culled from the Reload album. This is the first time that all the hits of Tom’s 40-year-long career have been made available in one album. In the last few years, being a DJ has lost its lustre as more and more people try to be the next John Digweed or Paul Oakenfold. This explosion in the DJ population has been accompanied by a proliferation of mix CDs. 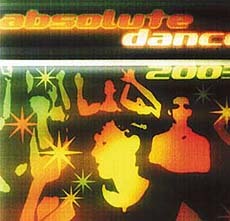 So what makes Absolute Dance 2003 stand apart from the rest? Crescendo has managed to compile some of the biggest hits of 2002-03, making this album a dance club necessity. The most prominent party fillers include Dirrty by Christina Anguilera, Tonight (Metro Mix) by Westlife, The Ketchup Song by Las Ketchup, Heaven by DJ Sammy, Five’s Let’s Dance, Play by Jennifer Lopez, I’ve Got You (RJ Schoolyard Mix) by Marc Anthony and Dirty Dancin’ by The Product G&B (featuring Santana). 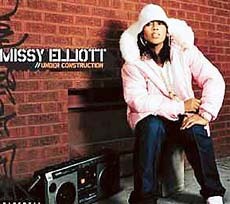 Melissa Elliott, better known as Missy ‘Misdemeanour’ Elliott burst on to the music scene in 1997 with her debut Supa Dupa Fly which brought us hits Sock It 2 Me, The Rain and Beep Me 911. Since then Missy’s popularity has grown and grown with her albums Da Real World (1999) and particularly with 2001’s Miss E`85So Addictive. With super producer Timbaland lacing her tracks, Missy’s been able to achieve the level of popularity that very few R&B artistes enjoy. Under Construction, her fourth album takes the samples, sounds and styles that formed the foundation of hip-hop culture and blends them with the revolutionary approach to music-making. The album’s first single, Work It, has deservingly been in heavy rotation on music channels. Gossip Folks is a lithe, slinky thing, featuring some of Elliott’s best rapping and a guest appearance from Ludacris. The most explicit tribute to hip-hop is Back In The Day (featuring Jay-Z). She transverses both pop (Nothing Out There For Me with Beyonce Knowles) and hip-hop (Funky-Fresh Dressed) boundaries with astounding ease. 1. What is the currently released Rahiohead hit single called? 2. What are K-Ci and Jo-Jo’s real names? 3. Who was the founder of the famous art-punk Band magazine? 4. Which member of Sade’s band produced tracks for Maxwell? 5. What was the debut album by Mad Season called? 6. Before going solo Mayfield was a vocalist/bassist for which band? 7. What is the latest album by Staind called? 8. Which member of Midnight Oil co-ordinated the album for the Sydney Olympics? 9. Who did guest vocals on The Mighty Mighty Bosstones’ hit track A Little Bit Ugly? 10. Joni Mitchell’s self-portrait on the cover of her 1994 album Turbulent Indigo was done in the style of which artiste?